Players from Sheffield 6's U12 - whites and blues - after the Jack Lacey fundraiser. Sheffield 6's under 12’s side hosted a charity match to help fill Jack Lacey's last few months with joy. 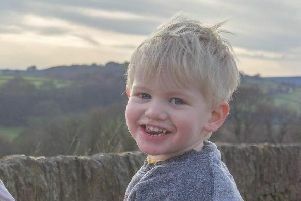 Young Jack, from Loxley, has an incurable brain tumour and his parents have been given the tragic news that he has between six months and a year to live. An online page set up by his parents, Wesley and Rebecca, has already raised £39,000 for the brave child. He is due to begin an intensive course of radiation and chemotherapy treatment later this month in a bid to shrink his tumour and prolong his life. The charity match took place at Wisewood Sports Ground, with operator Places for People giving free pitch rental. Club sponsors Unison donated £200, while additional funds were generated through a £5 donation from each player, a raffle and a tuck shop, bringing the total to £752. Sheffield 6's White's played Sheffield 6's Blues in the match, with the Blues winning 4-1. Player Ben Fieldsend and his mother Rachel, who know the Lacey family though a local nursery, suggested the club arrange a friendly to help support the family. 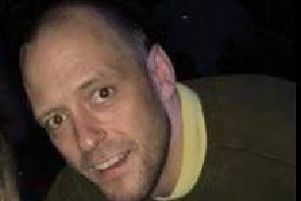 Sheffield 6's manager Andy Tingle said holding a fixture was the least the club could do. Jack's illness was diagnosed and the prognosis given in the space of just four weeks after he started displaying symptoms. His family plans to buy a dog and take him on trips to 'make him happy' in his final months. Wesley and Rebecca added: "All of our worlds are upside down and this support would mean everything to us." They described Jack as 'amazing, charming, brave, independent and strong-willed'.